The model describes how advertising affects the net income of a hotel and the quality of environment over time. 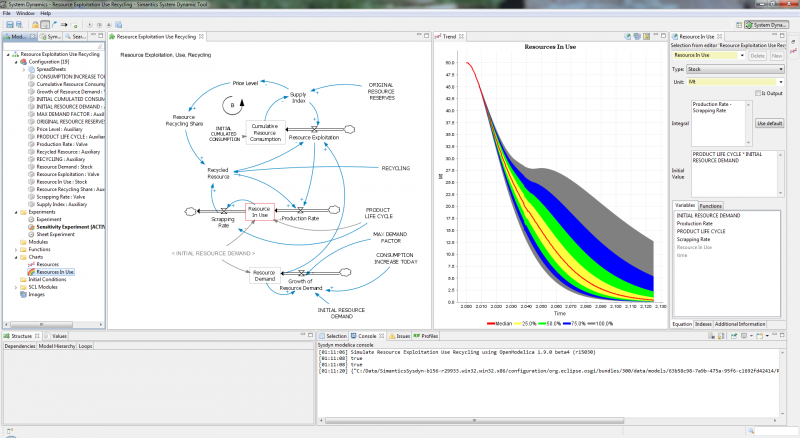 The model is included in the Simantics System Dynamics tool. The "Tourists, Environment, and Hotel Facilities" model is based on Bossel, Hartmut (2007). System Zoo 2 Simulation Models. Climate, Ecosystems, Resources. BoD. The model describes how using and recycling resources affects the amount of available resource over time. 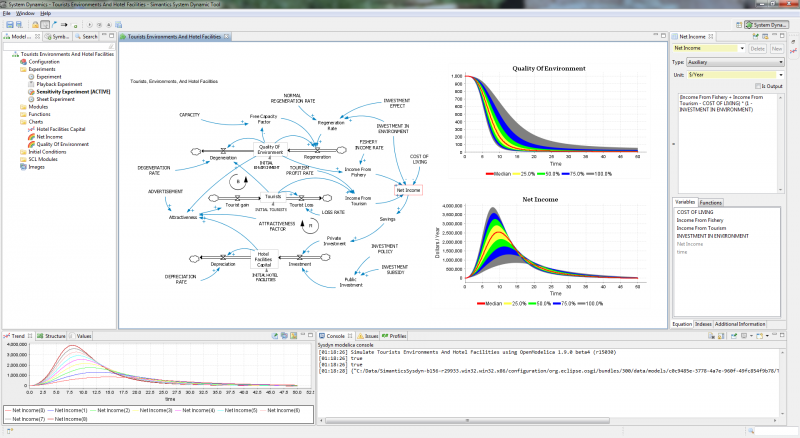 The model is included in the Simantics System Dynamics tool. The "Resource Exploitation, Use, Recycling" model is based on Bossel, Hartmut (2007). System Zoo 2 Simulation Models. Climate, Ecosystems, Resources. BoD.